If you’re thinking about getting into over 50 single dating then it’s time to take the plunge and begin right now. Really it’s not much of a plunge at all, it just seems that way if you haven’t been dating for a number of years. But modern over 50 dating on the Internet is something very different from what was available in the past — it’s a great improvement. You can proceed at your own pace, only talk to people who look interesting, end conversations or contacts whenever you like. You stay in control — that’s the key to successful dating in today’s world. If you are new to the Internet or do not use it much except for the occasional email or to catch up on missed episodes of your favorite TV program, then you will have to get used to communicating online with other over 50s singles. When you join an over 50s dating site you will find that there are basically two methods by which you can communicate with the people whose profiles you discover. These are chat and in-site emails. Some sites nowadays offer video chat and virtual dating, but they are a little different and today I am going to focus on the first two. Using in-site email systems at a dating site is pretty much the same as using regular email from your Internet service provider. You write and email then have to wait for a reply. Email offers the advantage of giving you time to marshal your thoughts and to decide exactly what you are going to write before you do so. It also avoids the problem of accidentally revealing any contact information or identifying personal information. This is important if you are communicating with someone who you do not yet know in any sense. The usual advice is to keep emails fairly short initially, until you can begin to build up some experience with writing to any particular individual. You must also be aware of the existence of scammers, who despite the best efforts of those who run dating sites do creep in occasionally, just as they do elsewhere on the Internet and indeed in life offline. For more on scams check out: Internet Dating Scams and How To Recognize Them. Similar advice for those singles new to over 50′s dating applies to chatrooms at dating sites. The big difference with chat rooms is that you don’t have so much time to think as you do when writing an email. Although a little slower than face-to-face contact, online chat is still pretty fast and you need to keep your wits about you. There is some good advice on spotting undesirables in a video on the chatrooms page I have linked above in this paragraph. 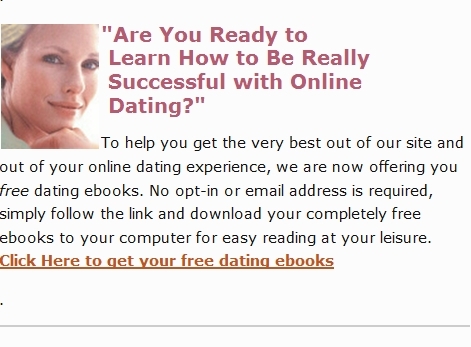 Useful advice and resources for over 50 singles dating in the 2010′s. Advice on how to approach the over 50 woman or man online in your search for dating and love over 50. Interesting news about the latest statistics appertaining to singles dating after 50. You’d be surprised. Having mentioned in yesterday’s post (Dating At 50 Online) that we have a great many resources for dating 50 and over singles here at SingleDating.com — even to the point where it would not be far wrong to consider 50 dating one of our specialities — I thought it high time I brought to the attention of our regular and occasional visitors some of the resources here that they may have overlooked. Most of our resources on dating 50 and over singles consist of advice and tips to help you with what to expect when dating in this age group, everything from how to get on with your new partner’s children to gaining the confidence to start dating online again. To begin with I want to mention Dating Over 50s is The Norm These Days, partly because it contains some good advice and partly because it contains a video about dating over 50 if you have kids. The advice and dating tips in the main article on that page concerns the higher expectations that over 50 baby boomers hold than they may have done in the past, as well as how change and the importance of meeting that change is a part of life. The article then discusses how much easier it is for baby boomers dating through the Internet than using more old fashioned methods and why this is so. Over 50 Chat Rooms and how to manage your activity in them to your advantage is the subject of another one of our advice and tips pages for over 50 dating. It is important to be cautious here but at the same time to have fun. Perhaps chat rooms are not the best place to start if you are new to over 50 dating however. Finally I would like to draw your attention to an early post at SingleDating.com about dating 50 and over singles, namely, Singles Over 50 For Dating Or Friendship which discusses the need to take a pro-active approach to dating in this age group in particular, as it has many aspects that distinguish it from dating in other age groups. Please don’t ignore the advice on this over 50 singles dating page, take out a free subscription at Pen Pals Planet now. Or to see more of what Pen Pals Planet is like before you do, view the photo profiles just to see who is out there: Click Here to Browse the Photo Profiles at Pen Pals Planet Then Select Over 50 Age Group. Browse the Photo Profiles at PenPalsPlant.com right away and begin meeting women over 50 or men over 50 for singles dating online. Start back into the current dating scene now. Please check where you are reading this over 50 singles dating post If it’s not at http://www.singledating.com/blog/ then you are looking at an illegal copy as this content is written for SingleDating.com and is copyright . Please navigate now to www.SingleDating.com/blog to get your genuine over 50 dating experience. « What Makes Women Attractive To Men?